Hailed as one of the "most important bands in music since the dawn of the rock and roll era" by former President Bill Clinton, the legendary rock and roll band with horns, Chicago, came in at #4, the highest charting American band in the chart’s history, in Billboard Magazine's recent Top Bands And Duos. And Chicago is the first American rock band to chart Top 40 albums in six consecutive decades. 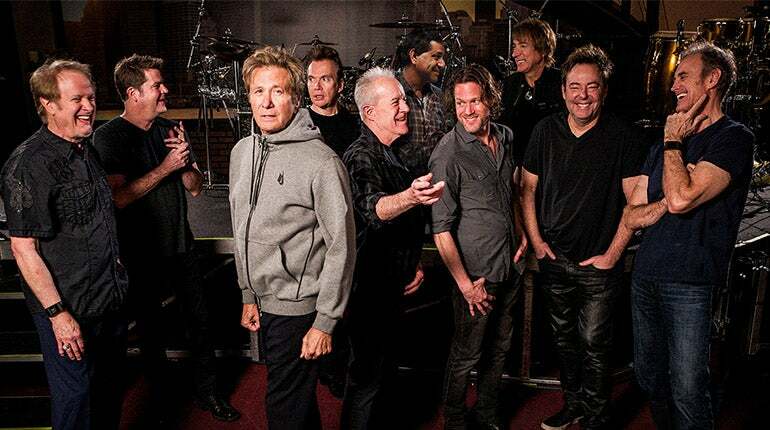 Chicago will perform live in concert at the Greek Theatre on Saturday, July 27. Robert Lamm and James Pankow were inducted into the Songwriters Hall of Fame in 2017. These legendary songwriters wrote mega-hits such as, "25 or 6 to 4," "Saturday In The Park," "Feelin' Stronger Every Day," "Make Me Smile," and many others.